Why spend the money dying your hair at a salon when you can get the same results at home for a fraction of the cost? 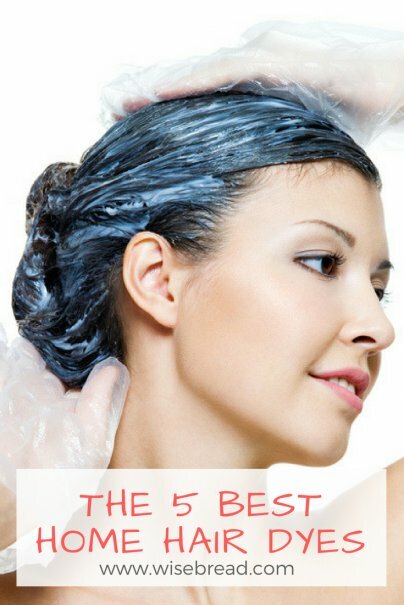 In order to get the best results, you need the best at-home dye that will leave your hair soft, shiny, and conditioned. Just imagine all the money you’ll save. What Is Home Hair Dye? Home hair dye is a cosmetic product that can change the color of your hair or hide stray grays. Many celebrity hairstylists agree that drugstore hair color kits can be just as effective as what you’d find at the salons. Permanent hair dye can provide long-lasting results, while demi- and semi-permanent dyes are gentler on the hair, but won’t last quite as long. The vast majority of women color their hair at home already, so you’re in good company. However, if you’ve never dyed your hair at home before, don’t skip the important strand test and watch some helpful online videos to get you started. 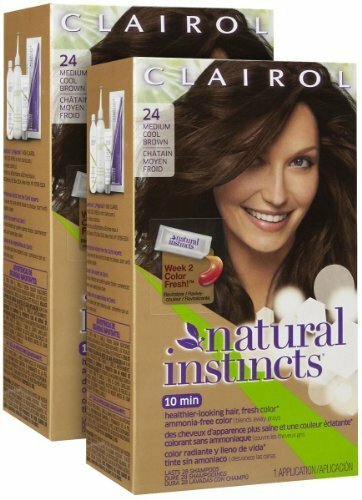 The Clairol Natural Instincts Hair Color is less damaging to the hair, compared to other dyes. It offers even coverage, unbeatable shine, and will leave your hair silky soft with beneficial ingredients like aloe, coconut oil, and vitamin E. It works in only 10 minutes and results in clinically proven healthier hair. It also has a pleasant, fruity scent thanks to the low-peroxide formula. The ammonia-free, demi-permanent color is also fade-resistant, so it will last a long time, even on gray hair. It is expected to last up to six weeks, or through 28 washes. It includes a ColorFresh Revitalizer, which can revitalize your color after two weeks by adding color pigments back into your hair in only five minutes. This comes in 33 shades of radiant colors. Consumer Search selected it as the best nonpermanent hair color, while Good Housekeeping selected it as the best overall dye, in any shade. It is also recommended by Real Simple, InStyle, and Total Beauty. A number of celebrity hairstylists agree that the L’Oréal Paris Superior Preference dyes are just as good as professional color. The permanent dye offers long-lasting, bright color with natural tones that can beautifully cover stubborn grays. It has a pro-precise applicator tip, making it easy to use. The cream-gel formula will leave your hair soft, silky, conditioned, and ultra-shiny. It also includes a six-treatment supply of shine serum packed with camelina oil, vitamin E, and a UV filter, which will leave your hair increasingly softer and shinier with each use. It offers up to eight weeks of luminous, translucent, fade-defying color with no fading or turning dull or brassy. This comes in 53 vibrant shades. 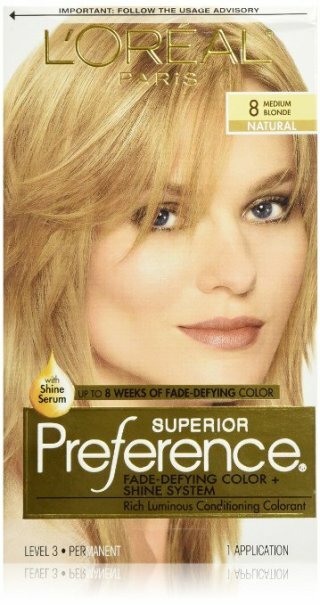 Consumer Search selected it as the best hair color overall, while Real Simple selected it as the best color for blondes. It has been the recipient of five Allure Readers’ Choice Awards, is a Total Beauty Top-Rated Beauty Product, and is also recommended by InStyle. If you’re looking for something with highlights and more shimmer and dimension, try the L'Oreal Paris Feria Multi-Faceted Shimmering Color, which is recommended by Real Simple and InStyle. 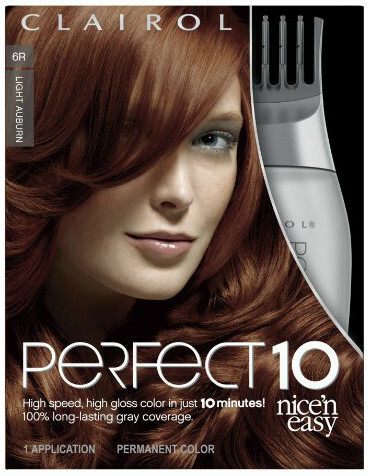 The Clairol Nice 'n Easy Perfect 10 Permanent Color has micro pearls for ultra shine and bold colors. The high-gloss color can give you shiny, highly pigmented hair for weeks. The patented Perfect Color Comb allows you to quickly cover every single hair, so you have even coverage, even over gray hair. The powerful permanent crème dye works in only 10 minutes and is very easy to use. It will add depth and dimension to the natural tones of your hair. This comes in 24 shades of rich, vibrant, long-lasting color. It is recommended by professional hairstylists and publications like InStyle and Elle. The Clairol Nice 'n Easy Root Touch-Up is the recipient of multiple awards and is recommended by countless magazines and the best choice if you only need to touch-up your roots. 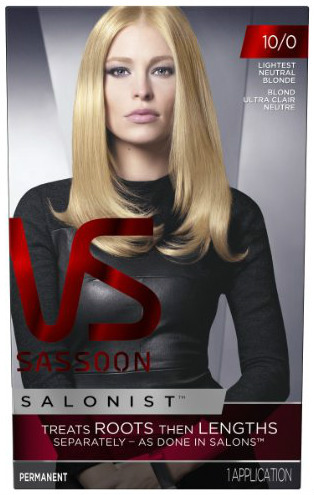 The Vidal Sassoon Salonist Hair Color Permanent Color has a unique two-step process that ensures salon-quality results every time. It treats the roots first and then the lengths separately, similar to a salon’s process. It offers even, lasting coverage and will perfectly coat every single hair with vibrant, seamlessly blended color, full of depth and tone. It also includes six weekly treatments worth of a color preserving conditioner, which can lock in color and condition your hair, leaving it soft, silky, and shiny. This is salon-developed and frequently recommended by professional hairstylists. It has more than 700 five-star reviews on Amazon and is recommended by The Huffington Post. 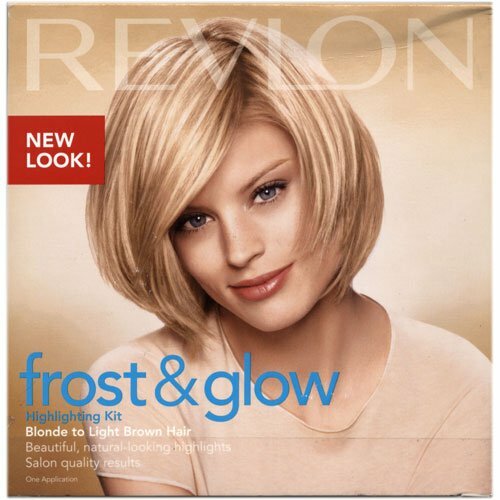 If you’re interested in highlighting your hair and changing up your look, the ammonia-free Revlon Frost & Glow Highlighting Kit will provide the shimmering, non-brassy highlights you’d expect from a salon. It is frequently recommended by professional hairstylists because it causes little to no damage to the hair. It comes with a pull-through cap, which allows you to highlight only the areas you want. It’s easy to use, works quickly, and can help you achieve a natural, sun-kissed look. The formula and included conditioner work together to moisturize and protect the hair, so it feels softer and silkier after processing. This is available in two shades to help you find the right level of blonde for your skin tone. Consumer Search selected this as the best highlighting kit, it is a Total Beauty Top-Rated Beauty Product, and is recommended by endless beauty vloggers. There are also countless online videos that can help you create an ombre or balayage look with this kit. If you’d rather have a kit to help you achieve an ombre look, try the award-winning Feria Brush-on Ombre Effect Hair Color, which is recommended by Allure, The Today Show, and The Huffington Post. And those are our recommendations for the best home hair dyes. As always, be sure to check Wise Bread's Buying Calendar to learn when and how to buy just about anything! Why didn't you mention brands you can buy at national beauty supply stores? Great savings can be found! For example, Sally beauty supply stores (online too) have excellent demi permanent and permanent hair color brands that beat the cheapest prices you list in your article.